02 Jun 2016 --- DSM Nutritional Products and Kemin Industries are hosting the 20th FloraGLO Lutein Anniversary Congress in Lisbon, Portugal (02 June) – bringing together the world’s leading experts on lutein and zeaxanthin to present revolutionary new research on visual performance and brain function. Typically, lutein and zeaxanthin supplements have been aimed at older consumers suffering from age-related macular degeneration (AMD). 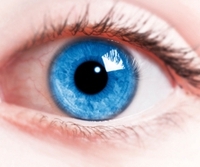 However, new eye health research demonstrates a positive effect on blue light filtration and glare resistance. These findings create a whole new market to target healthy individuals and younger generations. Manufactured by Kemin and formulated by DSM, FloraGLO Lutein is a naturally-sourced, un-esterified lutein. The introduction of FloraGLO Lutein to the global marketplace 20 years ago created a whole new product category, providing the foundation for the development and advancement of lutein for human eye health. The damaging effects of blue light on the eyes and the benefits of lutein and zeaxanthin in combating this growing health concern are a particular focus at the congress, with both Stuart P. Richer, OD, MS, Ph.D., FAAO, and Billy R. Hammond Jr., Ph.D. presenting on the topic. Other topics to be discussed during the unique half day seminar include understanding how adequate dietary solutions will protect the eyes, as well as learning the importance of lutein for brain and cognitive health across the lifespan. “FloraGLO Lutein is the most clinically researched lutein brand in the world. The recent scientific findings allow us to offer FloraGLO Lutein to wider audiences than ever before. This is testimony to the ongoing success of both the product and our partnership with Kemin,” adds Gareth Barker, Human Health & Nutrition Vice President, DSM. Royal DSM is a global science-based company active in health, nutrition and materials. The company delivers innovative solutions to improve performance in global markets such as food and dietary supplements, feeds, and personal care. 90 countries with manufacturing facilities in Belgium, Brazil, China, India, Italy, Singapore, South Africa and the United States.